Martin Cooney and a team of social robotics researchers at Halmstad University are using the Baxter and Ridgeback Robots to make improvements in people’s everyday lives. The project is called Action and Intention Recognition in Human Interaction with Autonomous Systems, or more simply SIDUS AIR. The purpose of the project is to contribute to the design of capabilities facilitating mutual recognition of actions and intentions between humans and autonomous systems such as robots in homes, industry, and public settings. The robots have been used to acquire new knowledge about how robots can engage in emotional interactions, facilitate learning, and help support people’s health and well-being in emergencies. The Ridgeback and Baxter combining to capture human emotion while creating art. To actually bring such systems into human environments the team needs to ensure that the robots are safe and can be trusted and accepted. This means that humans need to be able to understand what a robot is doing and will be doing in the near future. So, the team required a platform with highly developed motion capabilities – a motion manipulator – to engage in complex interactions between human and people. Clearpath was specifically chosen to execute these tasks: the robots provided excellent and affordable motion capabilities, both in terms of hardware and software. The Ridgeback base was chosen for its ability to carry the heavy Baxter, move fluidly with its omnidirectional wheels, lasers, and ROS support. The Baxter was chosen for its many sensors and actuators that allow it to be useful in various situations. Cooney says the robots stood out because they provided “excellent quality, affordability, and user-friendliness”, and Clearpath offered “tremendous support”. The process of connecting the Baxter to the Ridgeback took only a few minutes, and was “fast and easy when all the parts were ready”. The software integration was also greatly helped by the fact that both robots use ROS. Also, the team used Clearpath tutorials to sort out issues. The Clearpath robots have been used mainly in research on “emotions, education, healthcare, detecting fallen elderly, and checking the healthiness of cooked food”. For example The Baxter first takes a picture of a plate of food, then identifies the different foods on the plate. By putting its sensor into each item, the robot can make a decision if the food has been prepared appropriately and is safe to eat. This allows some salt or sugar to be added to make foods taste better, or to monitor levels for people with diabetes and high blood pressure. 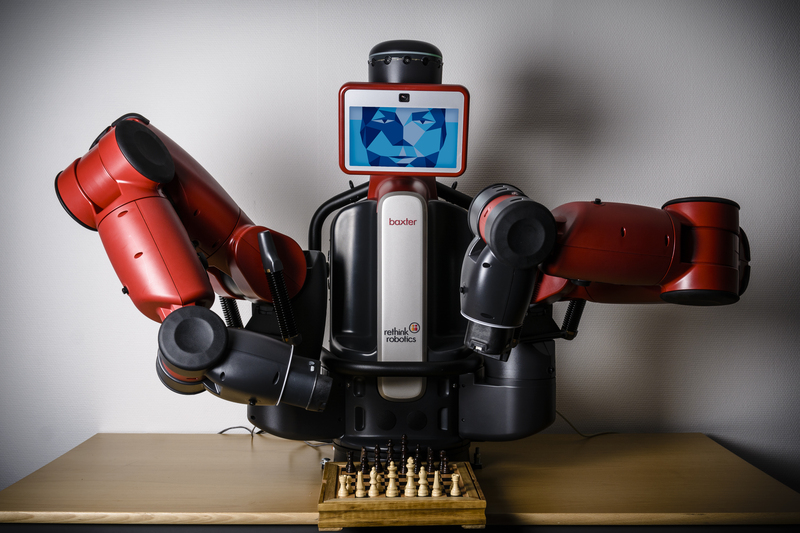 Looking ahead, the team anticipates using the robots for other household applications, such as entertainment. The group has yet to nurture any new industry partnerships based on this initial work, but has worked with various companies such as Toyota and Volvo on autonomous vehicles, as well as other groups and universities. 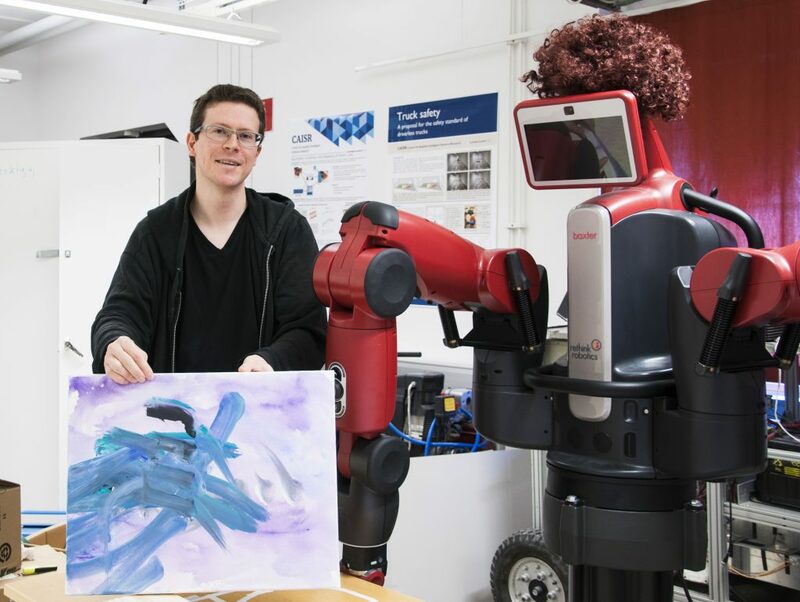 The project has also culminated into several master’s theses and academic papers for conferences and journals, and was awarded 6th place in the international robot art competition (ROBOTART) for their ability to visualize human emotions through painting. Click here to learn more about the Ridgeback UGV.